Chances are that you’ve passed a Kemp London-furnished window display at one time or another. Our cold cathode tubes or neon signage make for a head-turning set that take on a new life altogether once the winter evenings set in and the displays shine all the brighter. 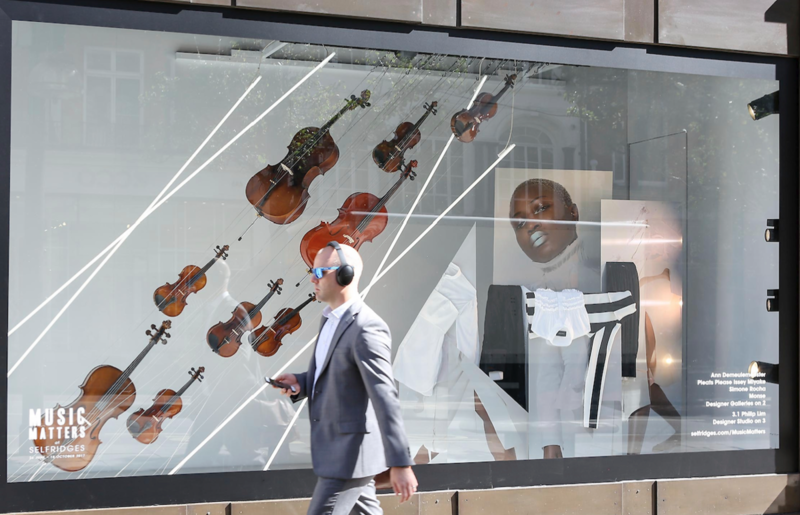 One of our most recent window display contributions was for Selfridges X Music Matters. The campaign was born to support new and rising artists by way of a line-up of gigs instore. The window set paid homage to the collaboration between style and music. With bright white tubing, clothing displays, model photography and elevated musical instruments, the whole thing created a composition that packed a punch.